Lam Woon-kwong explains his reasons for returning to the establishment to become CY Leung's chief advisor after leaving the government seven years ago. He also tells Joseph Li, he was taken by surprise by adverse reaction to his retaining the Equal Opportunities Commission post while taking up a new role with the Executive Council. Lam Woon-kwong accepted Chief Executive (CE) CY Leung's invitation to become Executive Council (ExCo) convener because he endorsed his election platform. Political pundits and the public at large offered general approval toward the appointment of a capable, pragmatic, upright person, familiar with government operations. Lam, who has retained his post as chairperson of the Equal Opportunities Commission (EOC) is not the only cabinet member wearing two hats. It didn't take long after Lam had accepted the ExCo position before controversy started to brew, and some people said his dual roles had a conflict of interest. There were calls urging him to quit ExCo. After two weeks of soul-searching, Lam decided to stay on in both posts, but promised he would leave the EOC when his current contract expires in 2013. Speaking to China Daily in an exclusive interview, Lam disclosed he has pored over the law and the EOC records to find any evidence of disputes between the EOC and the government, that had drawn the ExCo into the debate. "Although the EOC had sued the government before, the case involved tremendous public interest. Conflict of interest does not exist. On the other hand, the two posts can in fact complement each other - if I can promote the work of the EOC in the Executive Council. Perhaps it was my fault to have underrated public reaction." When he joined the EOC in January 2011, Lam had no plan to rejoin the government. "I find the EOC job very challenging and interesting. Having left in 2005, I am no longer familiar with government operations. Indeed, I am an 'old battery' over 60 years old," he said, laughing. As to joining ExCo, it was the breadth and depth of Leung's election platform on measures to improve the overall quality of life that impressed him. "I have read his election platform very carefully and those from previous elections. Never before have I read such a detailed, comprehensive election platform. He must have prepared it after acquiring a deep understanding of the problems," he commented. "Most importantly, he did not evade controversial, pressing issues like poverty, housing and retirement protection. He has pledged to solve them, knowing they have been ignored during the past seven years. If he can deliver the key parts of his election platform such as lifting poverty, my comeback is a journey that is worthwhile." Lam added it is not surprising that Leung had only a brief political honeymoon. Not only was the election so 'brutally fought' that it divided the pro-establishment camp, there were also numerous negative reports questioning Leung's integrity. "But I think citizens, especially the grassroots have expectations of him," he observed. "Although his popularity rating dropped after so many setbacks, it has not dropped significantly, showing that people still support him and so it is necessary to continue moving forward with quality of life measures. He is also unfortunate because some problems are left over from the previous government, such as the moral and national education controversy, I don't think he would want to handle the issue now if he had a choice." In Lam's view, principal officials should imitate Leung's willingness to face the public, no matter how harshly they are received. "It was a good move for him to visit students, particularly the ones on a hunger strike, tenting outside the government headquarters in protest of the national education subject. But he was snubbed when he offered to shake hands with the students," he said. "I appreciate him facing the public, especially, people with opposite views. Although it may not solve the problem, reasonable people will give him credit for facing the public." 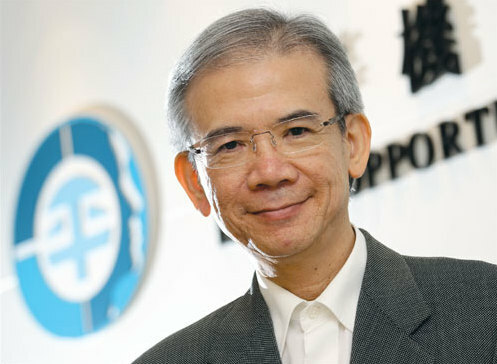 Lam was relentless in rapping the Donald Tsang administration, although Lam and Tsang had worked together for many years. "It had not made any long-term planning, choosing only one-off spending sprees. It should have realized that the biggest problems facing society in the next 20-30 years are aging population and elderly poor. These are problems that cannot be solved in the short term or by giving HK$6,000 to every person. "Similarly are the problems for housing, since there has been a land shortage for many years. We need at least seven years to turn 'raw' into 'ripe' land ready for construction. He should not have waited until 2011 to realize the huge housing need. Mr Leung faces a difficult task, as the after-effects of the short-sightedness of the previous government have prolonged to the current government," he commented.